Help Amit Fight And WIN Over Cancer! "None of us can exist in isolation. Our lives and existence are supported by others in seen and unseen ways, be it by parents, mentors or society at large. To be aware of these connections, to feel appreciation for them, and to strive to give something back to society in a spirit of gratitude is the proper way for human beings to live." The above quote stands so true in the immense support we have received from our family, friends and our well wishers who have contributed with all their heart. This makes our determination even stronger to give back the good fortune we have accumulated to the society in way of helping the ones in need. We realize the importance of life when we actually fight for it. I am Gopi Valia Shenoy writing this appeal on behalf of my husband Amit Shenoy, 34yrs living in Mumbai. On 13th Aug 2018, as a part of a routine blood check, he was diagnosed with Acute Myeloid Leukemia (blood cancer) and since then is undergoing treatment at Apollo Hospitals, Navi Mumbai. He has undergone 2 rounds of Chemotherapy and will be given a 3rd round this week. Doctor Punit Jain - Haemato Oncology & Bonemarrow Transplant Physician is treating him at Apollo hospital and suggests an Allogenic Stem Cell transplant which will increase his chances for survival and enable him to live a healthy life thereon. We are an average middle-class family and currently, both of us are out of jobs due to his current health situation. The cost for the stem cell transplant quoted by the doctor is 40 lacs for the entire procedure. This includes the extraction of stem cells from the donating bank, hospitalization, chemotherapy and so on. All our savings and insurance has been utilized in 1.5 months of hospitalization and 2 rounds of chemotherapy. Additionally, Amit’s dad underwent a liver transplant in 2016 where most of the family savings were utilized. Please help with your desired donation by clicking on the donate button and share this fundraiser with family and friends. Our Indian donors will get an 80G tax exemption as well and all the donations will be transferred to the hospital directly. 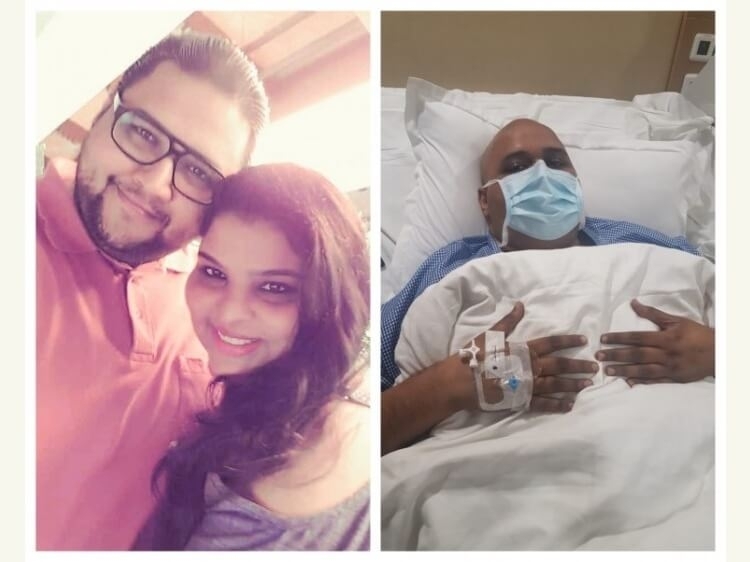 Please help Amit bravely fight Cancer and be completely victorious. We are grateful and will be ever indebted for your timely help! Your share could be as good as a donation for Amit Shenoy! Not everyone can afford to take care of their loved ones. Amit Shenoy's life can only be saved by donations made by kind people like you.